Germantown! If you would have asked me 3 years ago if I knew some good places in Germantown, I would have told you the only time I'd been there was for a cool New Year's Eve party in a random warehouse. Sounds totally legit, right? In the last couple of years, Germantown has really taken off. 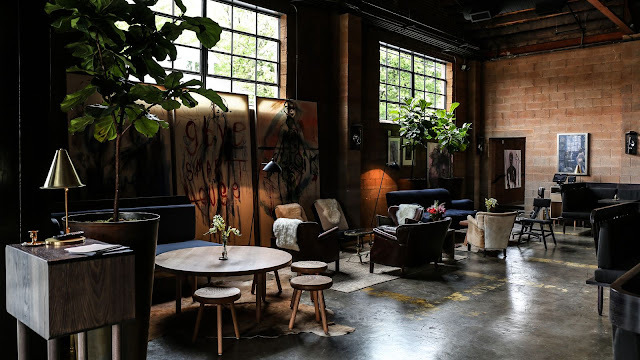 From the cool loft apartments, to the walkability of some of the city's hottest new restaurants, it's really become a hot spot. To be honest, I'm writing this post from one of my new favorite coffee shops, which just so happens to be in Germantown. More on that in a minute. Germantown is just north of Downtown Nashville, but still on the south side of the river (if that makes sense). There are so many great spots in Germantown, and it's easily accessible from Downtown and many other hot spots (like East Nashville and 12th South area). 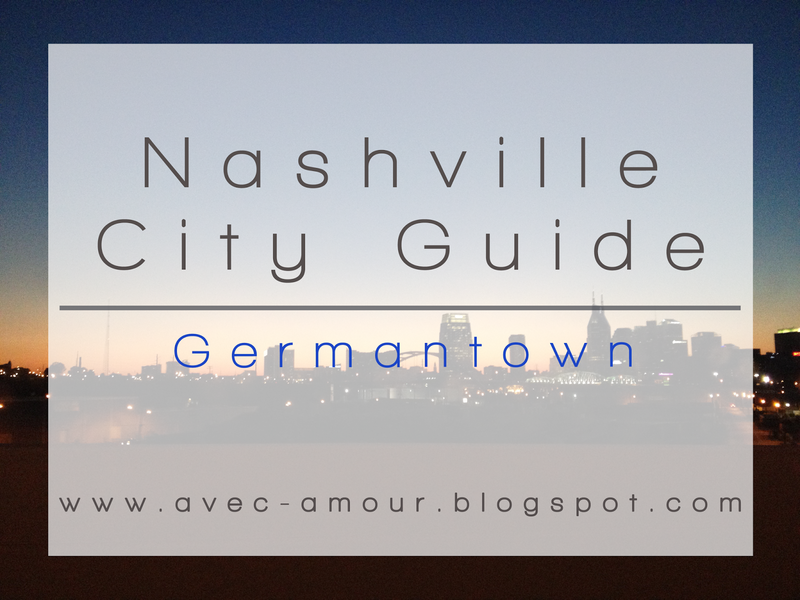 Let's talk about what to do in Germantown! Less than a year old (at time of publishing), 5th & Taylor was a fun date night this year. The cheese plate is killer and the low lighting makes you feel like you're in New York City. AND there's nothing I love more than a wait staff that can explain a wine list to you to help you pick a good glass of red ;) Reservations accepted (and suggested). Chicago style pizza lovers, this is your place. Very casual, very delicious. Great beers on tap and they also have thin crust pizza! Please note it's not the place to go if you're hungry and ready to eat right now - the deep dish pizza takes about 30 minutes to cook.... so have a late snack before you dine or perhaps choose one of their appetizers. Another beloved Nashville restaurant. This join will set you back quite a few bucks, but is quite popular with the locals. Everything is locally sourced and mostly home made. I'd say it's non-traditional Italian, but that may be a bad explanation. 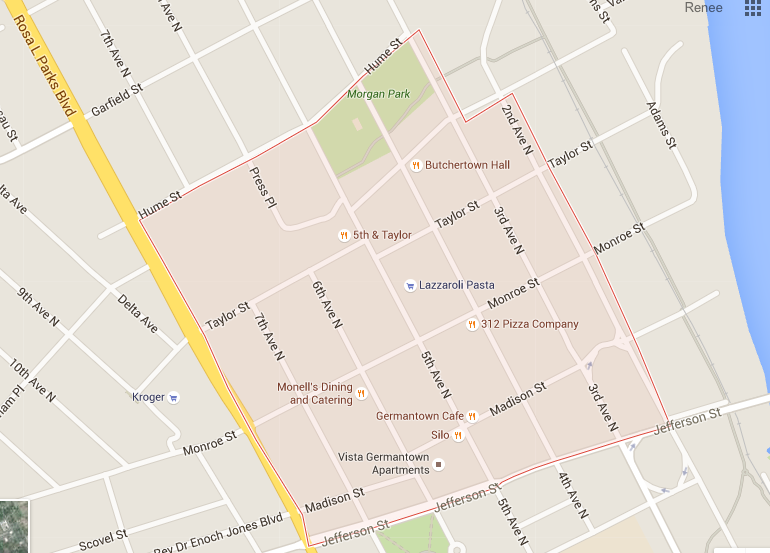 It was one of the first restaurants to put Germantown on the map, so check it out. One of the new kids in town is Butchertown Hall. They are a unique combo of German meets Tex-Mex (think tacos AND bratwurst).... which sounds strange but completely works - even for this vegetarian. They've got great cocktails and an amazing patio in the summer. They don't take reservations but it's a fun place to get a drink and brave the long wait times. City House is a Nashville classic. There's something on the menu for everyone, has the vibe of a very upscale restaurant, but the prices aren't insane. 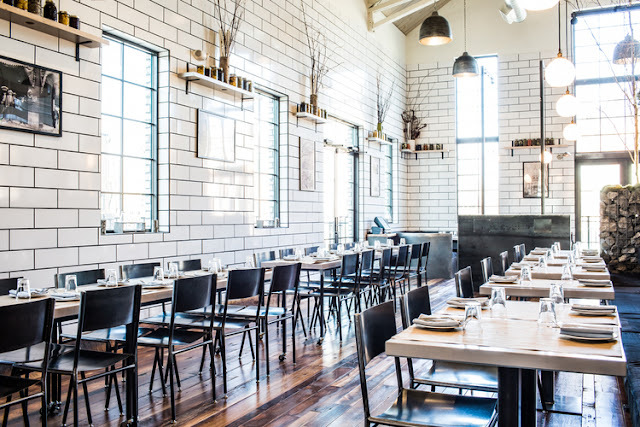 The decor is welcoming and vibe-y, and you can't meet a Nashvillian that doesn't love it! Make a reservation if you can. Ok, so this technically isn't in Germantown - but I don't know what other neighborhood to place it in.... and it's right across the street. So we'll just say it counts :) Garden Brunch is this cozy little house with great southern cooking that meets brunch. Definitely try one of their Eggs Benedicts.... you won't regret it. The newest member of the Barista Parlor fleet, this third store is taking over Germantown. 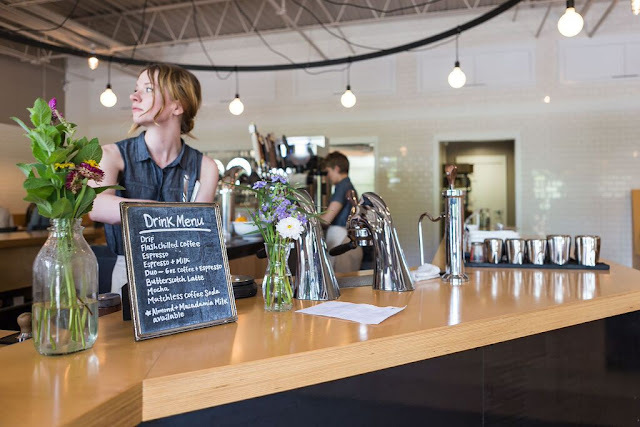 BP is known for their moto friendly decor, airy spaces, and delicious pour overs. What's fun about BP is that they get new coffee from different places around the country all the time. You can find Damn Handsome, Counter Culture, Stumptown, and many more. You can ALSO find the ever popular Five Daughters Donuts at all of the Barista Parlor locations. YUM. The Red Bicycle was probably the first place I ever went in Germantown, other than that warehouse NYE party. I got crepes with a friend and they were pretty dang good! They also do fun coffee drinks if you're into your lattes. The Celiacs in the house can enjoy any crepe us carb-i-vores can, because Red Bicycle has a GF crepe option! They also have a new location in Woodbine, but this is definitely the adorable original. Have you been to the new Nashville Sounds Stadium yet? It's soon nice! The old stadium was fine, but it could have been any 25 year old stadium. The new place has great lawn seats (for $7 most times! ), and a really swanky bar area with fun lounge chairs and craft beers. They also had a nice wine selection. You can choose from your typical hot dog & popcorn from concession, or visit the artisan stands with street tacos and sauvignon blanc. Guess where I ordered from.... :) We really enjoyed going last year and can't wait until games start up again. Oh yeah, and they play baseball there. But it's just a fun night out. Totally revamped in the last year is the Farmer's Market. 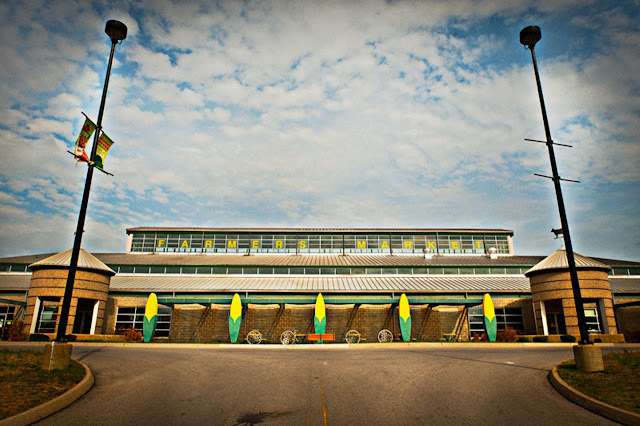 Nashville has tons of local markets (like our Sevier Park FM, East Nashville FM, and the Franklin FM, just to name a few), but this farmer's market is set up in a dedicated facility and runs year round (the rest are seasonal, usually April-November). This market has all your local farmers, dairy and meat venders, but also has a great indoor market with some great restaurants. Including but not limited to, Jeni's Ice Cream, Sloco, and B&C BBQ. It's fun to wander, pick up a few veggies and a snack. I love the new farmer's market and am so glad they changed it! Last year, it was basically a run down flea market. Now the rule is you have to home make/home grow 80% of your product in order to be a vendor. It's great. Definitely worth checking out! I'm loving all the new possibilities that Germantown has to offer. I also feel like there's something new every day! I think it's a great place to rent an Airbnb if you're visiting or at least coming by for a drink or meal. Have you been to Germantown since it's started booming? What do you think? Jordan went to 312 with friends and said it was pretty good but I want to check it out for myself. There are two different styles of deep dish where one is a bit more doughy and the other has more of a crunch from cornmeal and in his opinion it was in the middle of the two.